If Karu Is The Candidate, Does He Need To Name A PM? With the announcement of the possible candidature of Gotabaya Rajapaksa as the next Presidential Candidate from the Pohottuwa Party (now it seems to be jeopardy with a couple of cases are reported to have been filed against him), a lot of gossip and rumors are afoot as to who could be the UNP candidate at the next Presidential Elections. Most of the pseudo pundits are working overtime and their vested interests are dictating that a losing candidate should be coming forward from the UNP. They seem to be infatuated with Gotabhaya. With a fake image of strength and go-to-man associated with this person, the rumor mill is indeed busy and varied predictions and forecasts are vocalized by this same group who stood to harness the national wealth and resources for their selfish and obscene tendencies to benefit from such exploitations, thanks to an utterly corrupt and nepotistic system of governance so engineered by the Rajapaksa clan. However, the electorate is more interested in its own fate, either on the economics side or social sphere. Those who present themselves at elections as candidates for the seat of supreme power are usually more entangled in the sinister yet necessary machinations of political trickery. They simply cannot unentangle from such trickery as it has become an integral specimen of politics. It had been so in ancient times and it is so now. Gentlemanly politics is a myth. Such gentlemen, if there are any, are presumed ultimately to succumb to the oddities of this dangerous enterprise called politics. 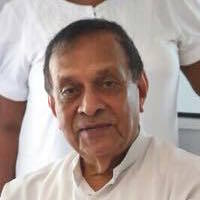 However, if there is such a gentleman in Sri Lanka’s political sphere today, that is Karu Jayasuriya, our current Speaker of the House of Parliament. He has been stymied by his own Party, the United National Party (UNP) for being so. His uncompromising stance on issues that are usually considered norms of the day- for instance, lending a favorable chance to UNP supporters at recruitment to government service – has made him disliked by his own Party members. But in an environment of total transparency and accountability, if such a state exists at all, Karu Jayasuriya is the best bet for all concerned. The hue and cry by politicians for transparency and accountability when they are out of power is a common occurrence in the political sphere. Such incongruences and hypocrisies have shaped and defined not only the characters of politicians, they have begun to corrupt and decompose the system of governance to a very large extent. How can a mundane politician avoid and keep aloof of such pressing allurements? If such a politician does exist, how could he or she stand over and above the rest when the needs of the system do demand that all and sundry should be absorbed into those corrupt machinations? Only political scientists and accredited scientists can answer these complex questions. But as commentators of current affairs that affect the path and eventually a journey of a nation, we are duty bound to ask these questions and provide guidelines to the answers too. Karu Jayasuriya is not a complex character; his demeanor suggests more of a simple and straight forward, yet an introspective type. His executive capacities have been tried and tested in the private sector and it is of praiseworthy category. Even as the Mayor of Colombo, his contribution to transparency and accountability have been proven beyond any shadow of doubt or reservation. His allegiance to the Buddhist clergy seems to be more as a product of a value system that he has been bequeathed by his parents and grandparents than a mere vehicle to easy power. His modus operandi in electioneering, one might say, borders on insanity, but has produced remarkable results. Running an election campaign and eventually winning in Gampaha District without a single poster being pasted in the electorate is a remarkable achievement, to say the least. Yet with all these credentials and achievements, why did he not contest, or to put it bluntly, why did Ranil Wickremesinghe oppose his candidature as the UNP-led coalition candidate? Only Ranil can answer that question. Yes, Karu has one marked reputation, albeit unfounded, of being a weak one who is susceptible to influence by a group of civil societies whose interests are more akin to liberal socialism than to intransigent capitalism. 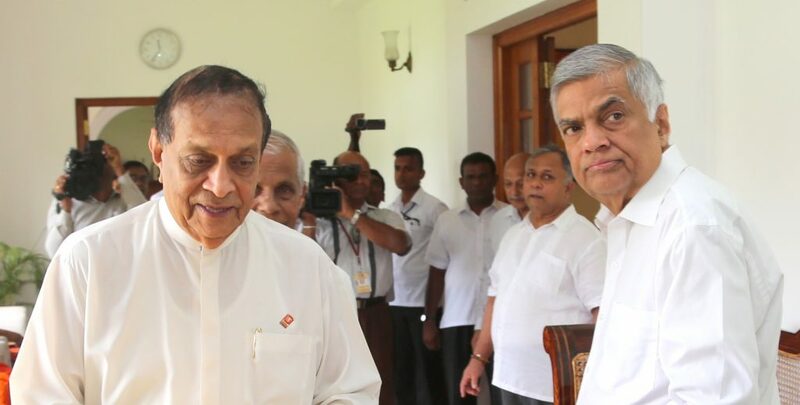 It was quite apparent that in the last Presidential Elections, the UNP-led coalition had to find a candidate other than Ranil Wickremasinghe. In this search, it was also in the rumor circles that Ranil did not want to hand the nomination to Karu J on the premise that Karu was insubordinate to the leadership of the Party by contesting the position of Leader. Well, that is all water under the bridge now. The misunderstandings and mutual mistrust the two had for each other are a thing in the past- at least let us hope so- but the accusations hurled at the Party, especially by the one who was elected by the UNP, the current holder of the position of President, pose a tangible challenge and vacillation at this juncture is not a good sign, whether it originates from the Party, Ranil or Karu Jayasuriya himself. The Party needs to address the issue of the next candidate in earnest with the clarity of process of a scientist who discusses the enormously consequential phenomena of space and time with his fellow scientists and tries to assimilate the knowledge regarding the varied types of stars, planets and blackholes. That clarity of mind would surely throw light on the issues at hand and the resolutions that must be reached must be reached soon. The clarity of issues must be easily transferable to the electorate. Ranil Wickremesinghe’s dilemma is multifold; its genesis is rooted in the way he has managed to sustain his position as Leader of the Party despite successive electoral defeats and his failure to offer himself as a Presidential Candidate in the last two elections. His choice of Maithripala Sirisena has come down for scrutiny and such scrutiny is justifiable. ‘Anyone but Karu’ slogan should be done away with. The man he can trust is Karu Jayasuriya. On the other hand, if Karu is elected, Ranil must be happy if Karu J decides to select him as Prime Minister. The title of this column inquires, whether it’s really necessary for that type of an announcement. In politics, it is advantageous for the politician to be unpredictable, not always, but on selected occasions. This is such an occasion. When the whole country is questioning the Presidential Candidate if he or she would appoint X, Y or Z as Prime Minister if and when he or she wins, to be inscrutable in the context of a decision he or she would make once the final results are out is an advantage. Karu Jayasuriya should choose that course of action. On the other hand, he could also resort to another ploy: he could say that he would select the Prime Minister based on the results each contender for the post would score in his district and electorate. Such a scheme is not all that unwieldy as it looks on its face. JR Jayewardene chose to exercise the option and he was quite successful in galvanizing his own Ministers to make sure that their districts and electorates would turn out to be victorious at the elections. The race to victory in their own districts was a motivating factor in 1982 and 1983, why won’t it be now in 2019? Defining the parameters for being named as Prime Minister could be done without showing any bias and prejudice towards any candidate who is eyeing that position. In other words, no reason appears to be necessary for naming one single prospective person for Prime Minister, period. Best Moment To Abolish The Presidency? let him name it as AKD. He will be best PM. Will it happen. If Karu Is The Candidate, Does He Need To Name A PM? – Only the International community, governor living in front of Ranil’s “these days House” and NGOs know the answer. Even when Ranil was locked inside the Temple trees he did not know what was happening. He just did what others asked him to do. Sri Lanka has been a shark tank of unreliable politicians. They desert their party for petty gains. SWRD formed SLFP, breaking away from UNP. JR abandoned UNP – albeit temporarily – when Senanayakes sidelined him for leadership. KJ abandoned UNP to join SLFP. MS abandoned MR when it was clear that he would not be appointed premier. MR deserted SLFP to form SLPP. The present rot should be laid squarely at the feet of CBK. She brought in MR as her PM to remain in power. The shortcut to power undercut her! It looks too early to discuss this issue as the author has said Gotta has a couple of hurdles to clear. But it is never too early or too late to think about who should rule us , for us and behalf of us. Also I have my fears if Sri lanka is fit to discuss such civilized issues openly and come to a profitable solution. For the time being Hope is greater than Almighty to rely and Repose. Karu was an army man. Will he dare to ‘tame’ the military from its present attitude towards civilians? First sort out the leadership of the UNP issue.If a ballot is held today and all card carrying members of the UNP are asked to name the leader of their choice let us see how much ranil gets,sajit,navin,karu,arjuna,ranjan,Akila,harin,fonseka,harsha,eran.mangala etc etc get.This will give us not only who should be the current leader,but also who are the budding new leaders of the party. That Plato guy hasn’t got it totally Correct. Has he?. I live in a nice Apartment, Enjoy a Single Malt and play Golf, But I didn’t do politics. I have never seen any of those Politikkas in real life ,even the ones from the Elite , Anglican Vellala and Wahabi Factions in Colombo..
Will the Millennium Corporation in Colombo tick off Uncle Karu?. That is the biggest hurdle for the Uncle ,although he has been bending his Old Back to please , protect and nurture Dr Ranil who has helped the Crooks more than the Straight guys. Any way that is another story. Where the The Core Item is getting Twelve and and a Half Lakhs of Mahanamsa Land as freehold . 0r 200 year leases for the MCC Corporation. These Lands which cover a good swathe from Mannar to Trinco and down to Magamapura have the best Harbours , Airports, Pastural Lands and more importantly , all Oil and Gas Resources in the , the Mannar Basin. Who is more suitable as the guarantor for the MCC demands, than our Elite, Anglican and Vellala Faction of the UNP Leader even as the PM. With all his Executive Presidential Powers castrated by the 20 A…. Although there will be a whole host of others from the UNP. in Keselwatta Kid, Champachaya .Dentist Rajitha, Navin Dissanayaka, and even the blue eyed boy from Colombo young Sujeeva.. The best selection is Mr. Sajith Premadasa, the young, the energetic. Karu should contest as an independent candidate, may be under the Swan symbol. He should resign from the UNP so that he cannot claim leadership of the UNP after victory. UNP must nominate RW as PM and Sajith as Deputy PM. Karu should agree to abolish the executive presidency within one year and go home. I have no doubt that he will fulfill his promise. Then JVP and civil society can also support Karu on the basis of abolition of executive preswidency. Vishwamithra is looking for a gem. We, layLankans, are in the gutter full of bads. We have to pick the better bad. “If Karu Is The Candidate, Does He Need To Name A PM?” is a luxury. The ghost of Mahendran will haunt RW. The fence-crossing will dog Karu. RW has shown the Corbyn/May grit and tenacity. He must be given a chance. Karu is perhaps the only gentleman in current politics & has an impeccable non corrupt record. Ranil is a lame horse & certainly a non starter while the other possible candidates for the presidential race having questionable pasts, Karu seems to be the best choice. Premadas jnr, riding on his old man’s legacy (which could equally harmful) & despite his impressive but unsubstantiated CV, has yet to prove himself, as does Dissanayaka jnr, while Ravi K., a blatant crook & certainly a non starter, leaves Mangala S, as a possible runner. Unfortunately, Karu & Mangala (who has a record of jumping from one party to another) are not party loyalists who stood by through thick & thin but that could be attributed to loss of faith in party leadership, therefore, maybe, Ranil should be realistic & select the most capable of running the country & cracking down hard on corruption. In the main, there can be no Perfect Gentleman in politics – here or elsewhere. On this basis Karu J is the best choice for the UNP against a possible rogue gamaya and an established semi-educated extra-ambitious mass killer. Karu’s face can be generally described as Nationally known – an important factor in the strange game of politics. Whether, in the unlikely event of a UNP victory, Ranil becomes PM is trivia. Ranil is synonymous with the Party and no one is suited more to the position of PM – despite his many known aberrations. I know Karu well and have known him for many years. He is not brilliant in any sphere but certainly above average. A pleasant, courteous man who has seen Big money – legally and ethically – and – more importantly – unsmitten by the virus of communalism. He is held in high esteem by the diplomatic community based in Colombo. He is well thought of by the business community and the “educated” class. The problem for the large number of decent voters – lower, middle class and above – is the final decision is made by punnakku-eating harak – the majority in this 1-man-1-vote game of musical chairs. Except in 1977, this concentration of cattle all over the country made the wrong choice since 1948. The country suffers today because of this. Why would it be different the next time around? Will the Kali Yugaya continue to punish the many innocent millions in this so far ill-fated land? Karu will appoint RW as the whole thing is manipulated by the butterflies of RW. RW has now appointed himself to solve the energy crisis ! A decision similar to Mahendrans caper- we all know the connection between RW and power racketeer Aggreko .